What is Avene Cleanance Cleansing Gel for Face and Body? If you have been brought up in an era that broadly advertised washing your face with soap and water, and in an environment where that philosophy was widely accepted in households then, chances are, you might still be practicing this skincare regimen to this day. It’s time to beat tradition and custom with science-based skincare! What skin experts have been telling us for quite some time now is NOT to cleanse skin, moreso your face, with soap. Soap is drying. It leaves behind residues that can cause your skin to become clogged and infected. While cleansing the face with a soap-free cleanser may have become more significantly common than washing with soap, most people are still using soaps, bar or liquid, for their bodies. Simple logic would tell you, if it’s not good for your face, it also shouldn’t be good for your body. As state by manufacturer, Avene Cleanance Cleansing Gel for Face and Body is manufactured by Avene, a skincare center and manufacturer headquartered in France. Prior to manufacturing products, Avene has been operating as a skin hydrotherapy center that addresses even the most complex cases of skincare problems, primarily through the skin therapeutic mineral contents of the Avene thermal spring water surrounding the Center’s environment.However this product contains citric acid which cause skin irritation or rashes. Whereas, initially the dermatological science and natural skin healing properties of the thermal spring have been available to the Center’s guest, today, these skin healing ingredients are now made more accessible to everyone through the Avene product, including the Avene Cleanance Cleansing Gel for Face and Body. 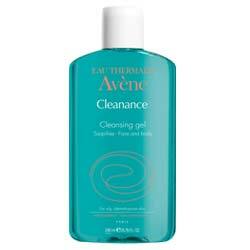 Avene Cleanance Cleansing Gel for Face and Body retails for $20 for every 6.76 fl. oz. Avene Cleanance Cleansing Gel for Face and Body– Does It Really Work? Avene Thermal Spring Water, nourishes skin with its natural mineral contents and therapeutic skin properties. Monolaurain, a proprietary ingredient that helps regulate oil production in skin. 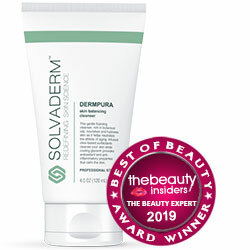 Zinc gluconate, deeply cleanses skin to unclog pores by drawing out impurities. This product is so gentle, that there needs to be just one formulation to work well for both your face and for your body. Its soap-free and deep cleansing properties perfectly balances your skin’s pH levels, regulates the production of skin’s natural oils, and is perfectly suitable for use on acne prone skin. Avene Cleanance Cleansing Gel for Face and Body works by combining the natural skin soothing properties of the Avène Thermal Spring Water with deep skin cleansing and moisturizing ingredients, including Monolaurain and Zinc Gluconate. These ingredients help regulate the production of the skin’s natural oils, and help draw out infection-causing impurities from clogged pores, respectively. These actions result to blemish-free skin and tighter pores. What are the Ingredients in Avene Cleanance Cleansing Gel for Face and Body? Avene Thermal Spring Water: It nourishes skin with its natural mineral contents and therapeutic skin properties. Sodium Hydroxide: It is used to establish and hold the pH of a product. It’s also used as a cleansing and denaturing agent. Citric Acid: This ingredient is an antioxidant and exfoliant that helps protect from free radical damage and remove dead skin cells while also encouraging cell regeneration. However in rare cases it can cause allergic reactions like irritation and rashes. Disodium EDTA – It is a salt of edetic acid primarily used as a chelating agent, which can sequester and decrease the reactivity of metal ions that may be present in a product. It also used to enhance the foaming and cleaning capabilities of a cosmetic solution. 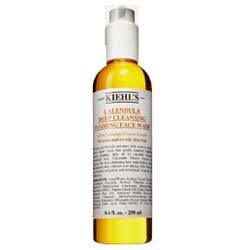 Deeply cleanses and moisturizes skin. Unclogs pores and tightens it but may cause irritation sometimes. Regulates production of natural skin oils. Does not leave residues that clog pores, unlike when washing with soap. 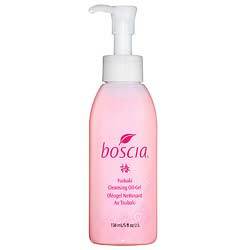 This product contains ingredients like citric acid which cause allergic reactions like irritation and rashes. For best results, use with physical exfoliators like loofas or face and body scrubs just once daily or less depending on your skin’s sensitivity. Does Avene Cleanance Cleansing Gel for Face and Body Have Any Side Effects? Product contains PEG-40 Hydrogenated Castor Oil, a polyethylene glycol (PEG) which are known to be prone to impurities that can cause the resulting product to be carcinogenic or toxic. Product contains Sodium Benzoate which can easily combine with other ingredients from this product or something else to produce benzene, a highly toxic chemical. Product contains Sodium Hydroxide, a well-known irritant. Kick out the old habit and make way for your rejuvenated skin with Avene Cleanance Cleansing Gel for Face and Body. With regular product use, expect improved complexion, tighter pores, and smoother skin surface like you’ve never experienced your skin to be with soaps, However there is no clinical evidence behind it. Also it contains ingredients which cause irritation.It offers 30 days return policy.